Baylou have been busy….doing other things. Victoria and Barbara are back, with this EEP (extended extended play). I have seen them quite a few times LIVE, most memorably a while back at Lizottes, Kincumber. Of course, Victoria did that wonderful duet with my brother from another mother, Darren Colston too. This offering is long overdue. 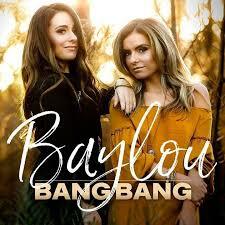 In the few reviews available, they mention that Baylou are pushing the boundaries and they are edgier. True, for most of the tracks. If you like the McClymonts, Christie Lamb and Kristy James, this is one for you. It has been a while between drinks. I would be popping some champagne corks if I was a Baillie Sister. Rattlin’ Chains: A bluesy, rocky number with a McClymonts kind of vibe. A toe tapping, gutsy number. Bang Bang: An appropriate follow up to the first song, of the same ilk. Heavy: Ironically lighter in rocky edges to the first two, still toe tapping and hummable. Perhaps the song should be called “Why so Heavy”, because that is more of the question. Hypnotic: Winding it down a bit but still edgy. Plenty of guitars and drums still. Closing This Memory Down: The current single and a great video. The best song on the album by a country mile. Well, shucks, you all know that I am a ballad girl. Showcases their voices the best and it is a sad old country song. I have heard that it brings many listeners to tears and so it should. If You Let It: A more uptempo ballad but still a ballad. Catchy and love the guitars….they are twangier on this one. More than likely a shower song in the making. Even with a Broken Heart (feat. The Wolfe Brothers): The sisters are joined by the brothers. Might have to pair this one up with Matt Cornell’s song. Nice harmonies by the boys. A good song to end the EEP with. Excellent song. Cazna has always been a great supporter of mine. She has cheered me on from Far North Queensland. It is time to return the favour and what a fun way to do it. Cazna’s long awaited release is here. I know that it has taken a lot of blood, sweat and tears to produce, literally. As soon as I put the disc in the player I was placed in a time capsule and taken back to one of my favourite eras of music, the 50’s and 60’s. It has that vibe. The guitar licks are very reminiscent of the Duane Eddy and Shadows types of the day. The other instruments follow suit. The songs have that feel of the 50’s and 60’s – that was even before I saw Aussie John Farrar’s Hopelessly Devoted to You (from Grease) listed as one of the few covers on the album. There are 16 tracks in all, a very generous helping. There are only 4 covers. Cazna, with some help from hubby/producer, Bill, has written all of the others. The album has a very relaxed feel. The last track made me so mellow that I nearly fell off the couch. It has a gentle samba rhythm. Dancing with the moon reminds me a little bit of Catch The Wind, the old Donovan song in its content but not style. My favourite track is Can’t Live Without It. There is definitely some country music influence in there too, especially on tracks like Boulevard of Dreams. Cazna has always had a positive attitude about things, even when the chips were down – amid cyclones and family tragedies and other stuff that life throws at her and that feeling comes through on this album. It is a gentle and easy album which just relaxes you and doesn’t make you think too much about life….in fact you can just forget about life for a while and escape. So you can either put a Grease, Happy Days, American Graffiti movie on or this cd and be transported to a time which was a little less complex and very cool….now where is my ponytail and hooped skirt…..and I need a malt and a chocolate icecream sundae. We have lost two major pioneers in the last week or so, Geoff Mack, the Everywhere Man and now Rick Carey, best known as one half of Rick and Thel. I think most people know the story about the first concert that I ever went to, but I usually tell that story when people ask me about Buddy Williams or Johnny Ashcroft, as they were on the bill that day. Rick and Thel were there too. Thel actually was a teacher and my Aunty Una was her student many years ago. Rick and Thel appeared on just about every variety show on television back in the days when my sister and I were growing up. It was actually a bit of an act that my sister and I put on. We would say – no matter what the show was on tv – Here’s Rick and Thel – even if they weren’t going to be on. 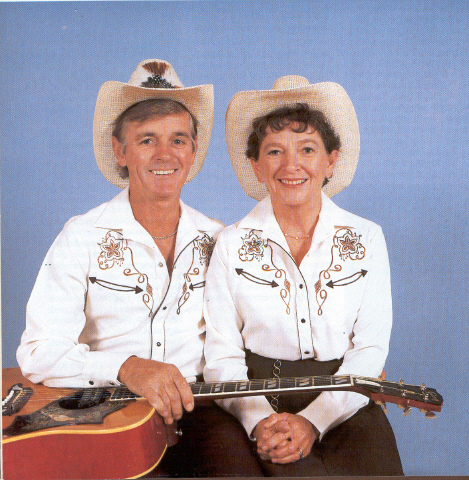 They were that much a part of country music culture in Australia. We lost Thel a few years back now and I guess the one saving grace is that Rick will be reunited with her again. Cancer has claimed another one. We have to do something. With love and thoughts to the family and friends of Rick. Happy Trails, Rick. A Shane Nicholson album is always a gift. They don’t come along very often for two reasons, I think. One reason is that I think he prefers quality over quantity (as one should). The other reason is that he is so busy producing other people’s albums and writing for them that he just doesn’t have time to do his own. Matt Fell has taken over the reins here again and he is another one of our gems. Shane’s last album, Hell Breaks Loose, was in my opinion, his best ever and indeed, one of my favourite albums in Australian Country Music History, in all of its 79 types. That one was going to be a hard one to beat. Along with the album just being absolutely brilliant, it was a very personal album. Shane’s ability to throw in something that you aren’t expecting in a million years…. (I thought that Louis Armstrong was alive and well on one track) and at the same time create images that we can all relate to and have our senses detect in all five ways, possibly six. The Alt. Country/Americana scene in Australia is at its strongest ever and Shane is one of the leaders of the pack. Not only does he show this on his own albums but also with his many collaborations and it is evident in the people’s albums that he produces. 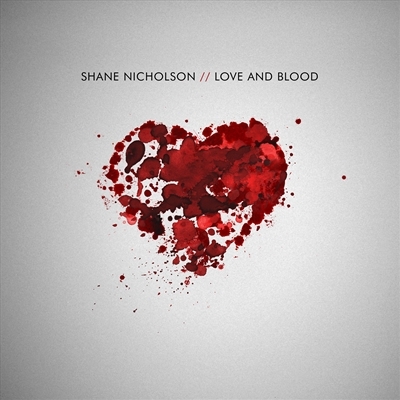 There’s a bit of everything on a Shane Nicholson album and this one is no exception to the rule. I’m not just talking about mixing up the genres of country music but the subject matter is also varied. I was surprised reading a certain big time reviewer who called Hotel Radio “downright insipid”. I must be listening to a different song…..obviously with different ears. A similar remark was made about Busted Lip. Strangely, they are two of my favourite tracks on the album. 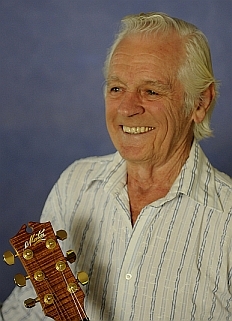 Most reviewers agreed that Shane is one of the most consistently good songwriters in Australia. Good? That is a bland word. I like unravelling a Shane Nicholson song, especially the ones with many layers, the ones that aren’t in plain speak. I like the way that a very country happy tune is a song called Song for a Sad Girl, for example. A lot of Shane’s songs are open to interpretation and I like that. As I said earlier, his previous album was going to be hard to beat. I actually don’t think that you need to top one of the best albums ever produced in this country. Let that be that and this be this. It is an excellent album of songs that range in style and content. The last song on the album is probably the best, All I know. All I know is that every time that I hear that Shane Nicholson does a concert or produces an album, I’ll do my very best to be there or to give the album a spin….and keep spinning them. If you don’t like this, then you don’t have ears. Clelia describes herself as a late bloomer. I have always been of the mindset that most things in life get better in age: wine, cheese, writers, tuna casseroles…and yes, musicians. There is something to be said for experience. When you go to sing a song, whether it is yours or someone else’s, you have lived it, or know those who have lived it. 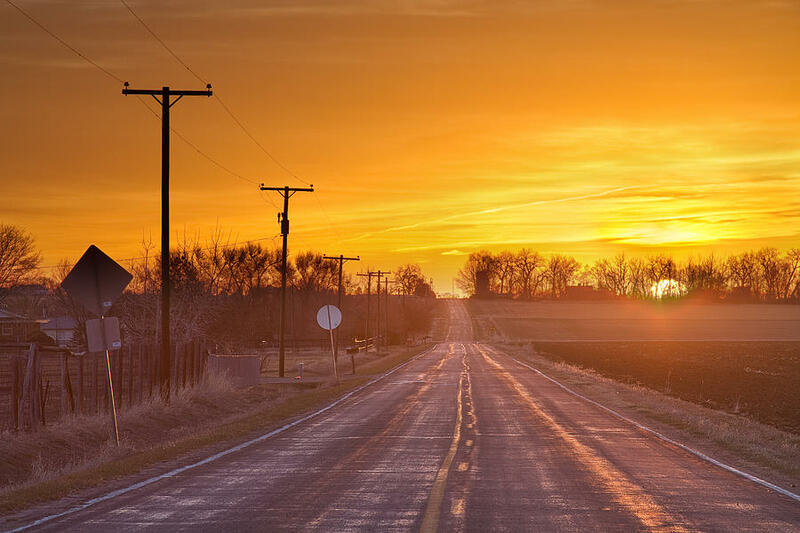 You appreciate and understand the song more when you have a few miles on your belt. Age should never be underestimated. Clelia gives us a mammoth 24 songs here – 22 plus two bonus tracks. 7 songs are written by Clelia, one of which is a co-write. Many of the songs will be familiar to you, some were written and/or recorded by well known artists but not necessarily big hits by them. I think that is the key, sometimes, when an artist chooses a song or songs, pick ones that haven’t been flogged to death. Pick songs that with a bit of tweaking and a lot of class, you can make them your own, or at least in the same ball park as the original. Beautifully produced by my favourite guitarist, Stuie French, with an all star cast: Michel Rose, Chris Haigh, Garry Steele, Brad Bergen, Bill Risby, Camille, Bill Chambers, Kevin Bennett, Mick Albeck, James Gillard, Donnie Hopkin, Doug Gallacher and Rudy Miranda, how can you go wrong? 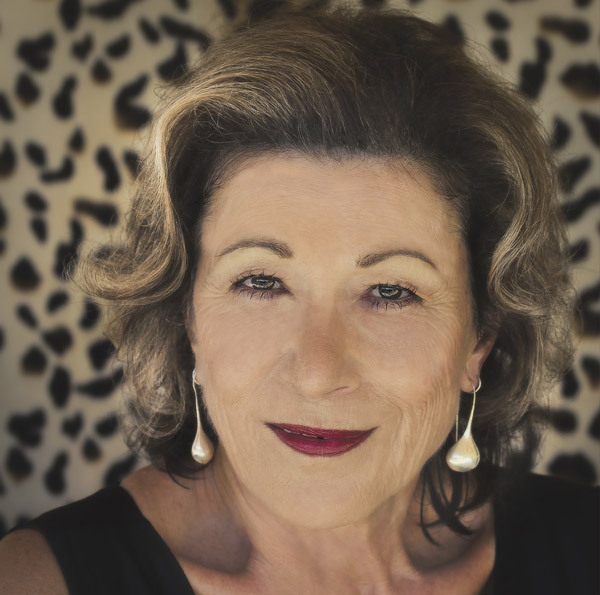 Clelia puts such great effort into every song, you can tell that on the upbeat songs that she is having a lot of fun and on the slower tracks that she is putting every drop of emotion into the songs that she can muster. It is quite an eclectic mix of songs, with songs from just about every decade since the 50’s and a couple before that. Songs by Bob Dylan, John Prine, Rosie Flores, Heather Myles, the Louvin brothers, Shane Howard and that Hank Williams fella are amongst those featured. I was up dancing (badly) to the Heartbeat Highway and I was thinking of Patsy Cline when Clelia sang Back in Baby’s Arms. The female version of George Strait’s classic – Cowgirl(boy) rides Away, (which is my favourite George song), always goes down well. Clelia’s songs have been played all over the world. From a session singer to a bonafide country music solo artist, she may not have been in the spotlight for as long as she was in the background, but she has arrived and then some. I think that a Honky Tonk Bar should be set up so that Clelia can give it a red hot go, I am sure that Stuie would oblige. Having said that, I don’t think that I have seen or heard an album for a while that covers so many bases in country music. Clelia definitely has covered a few of the 79 types. Clelia even has a crack at yodelling (she even wrote the song!) I love the Honky Tonk Stardust Cowboy – the name is enough to get my attention, but it is such a trip down memory lane and I love the elongated “singing”. A cool song. The Captain and The Gypsy is probably Clelia’s most recent big hit and a number one, self penned song at that. There is so much to love on this album. It is really a fun album to listen to and has something for everybody. It is quite a feast of country feast from a lady who just shines. Christie Lamb at her best.